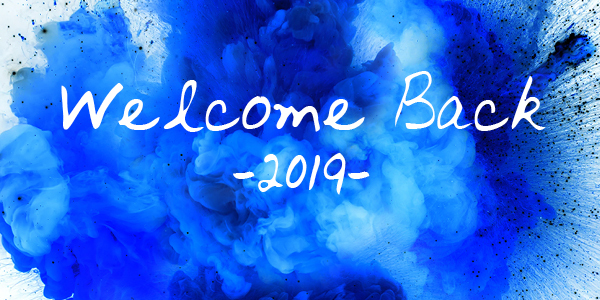 A warm welcome to 2019 school year at Mansfield Steiner School. A special welcome to those new families who are joining our school community for the first time. 2019 promises to be a year of celebrations. The first Waldorf school opened in September 1919 in Stuttgart. Mansfield Steiner School will join 1149 Waldorf and Rudolf Steiner schools in 65 countries, and 1817 Waldorf kindergartens in 67 countries, to celebrate 100 years of Steiner/Waldorf education. Mansfield Steiner School will also be celebrating its 33rd birthday and it will be a year filled with firsts. We will be celebrating our first Year 10, as we make our way to becoming a kindergarten to Year 12 school by 2021. Our first international cultural exchange with Slovenia Waldorf School will happen in the second term. We will also have our first stand-alone Year 7 beginning their secondary school journey this year. We welcome Suzanne Van Wyk as the first Year 10 Guardian, Secondary School Co-ordinator and member of the School Leadership Team. Suzanne has been teaching at Cathedral College in Wangaratta and is looking forward to meeting the challenges that lie ahead. Sue Plumb is our first I.B. Co-ordinator. Sue has been busily working over the holidays preparing the school for our verification visit from the I.B. team this year. Lou Jenkins will have her role extended from Craft Teacher to also become our first Bothmer Gym Teacher. Louwill take classes from Class 3 upwards for Bothmer Gym sessions on a weekly basis. We will also welcome our first Marketing and Community Relations Officer, Emma Wiking. Emma will be responsible for all things marketing to do with Mansfield Steiner School both within the school and beyond. One of Emma’s first roles is improving communication, so with an exciting redesign, The Messenger will be distributed fortnightly. You can also find an update of our latest news on our brand new school website www.mansfieldsteiner.vic.edu.au – where you will soon find an updated link to our latest school handbook including all housekeeping items. Nurturing a strong communication environment, The Messenger is our most important way of informing you of what is happening in the school, so you are forewarned of coming events. We welcome your feedback and any suggestions you might have to help us in our communication with you and our school community. Please direct any suggestions you might have to Emma. All teachers have been busy preparing for the new school year, planning, meeting and attending the Steiner School Intensives held in Sydney and Melbourne. It is a great opportunity to gather with teaching colleagues from all parts of Australia to network, share ideas and gather inspiration and nourishment for the year ahead. We also celebrate this year – small class sizes, timely and effective communication, sustainable practices and a willingness to work together with understanding and tolerance for a better school and a better world. May 2019 be a fulfilling and productive year.